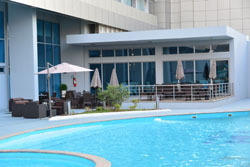 Nampula hotels, accommodation and places to stay. Guide to where to visit and where to stay in Nampula Mozambique. Information on Nampula Mozambique, location of hotels, lodges, camp sites, guest houses, bed and breakfasts and places to stay in the Nampula area of Mozambique. Distances from major attractions to Nampula and information about shops, fuel and facilities. The Nampula Province is far less visited by tourists than the south. It is home to the historical Ilha de Moçambique (Mozambique Island), once the capital of Mozambique. New Hotel, is the preferred destination in Nampula for all kinds of social events, conferences, meetings, corporate events and holiday getaways with friends and family. All of our rooms and suites are chick and spacious, with amenties like Free High Speed Wi-Fi. 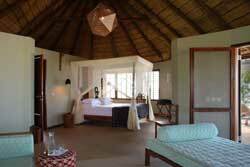 Located in 1km outside Nampula, north of Mozambique, the Bamboo is a complete Aparthotel. This is where comfort, leisure and nature all come together in unity and where hospitality is our number one priority. Come and find out all there is to know about us and more. Comfort and privacy is what Bamboo Aparthotel can offer for you when it comes to accommodation. We have couple rooms as well as double rooms to chose from. All our rooms come standard with a satellite television, bathroom and private garage. Nampula Hotel is located in downtown Nampula and is part of a complex consisting of a business centre and a shopping centre. This multi-purpose hotel has the northern region's best congress halls. All rooms have en-suite bathrooms, are air-conditioned and are equipped with a mini-bar, hair dryer, safe, direct telephone and cable television. 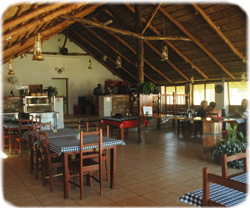 Enjoy a meal at the on-site restaurant which serves Mozambican and international cuisine. 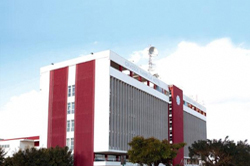 Nampula Hotel Price Guide: NB. Prices are given in Mozambique Metcais and include Breakfast. Hotel Milenio is a new hotel in Nampula city. They offer a high standard of accommodation for a reasonable price. The Lobby is well laid out and spacious. There is a large area on the ground floor of Hotel Milenio for shops. Rooms are en-suite with hot running water and Satellite TV (but with limited channels - CNN and Hallmark movie channel).